What is the Blockchain and what does it have to do with cryptocurrencies? Blockchain technology is the basis of most cryptocurrencies. It is the groundbreaking discovery that makes virtual currencies so interesting for many industries. Bitcoin uses a public and distributed Ledger, known as the blockchain. 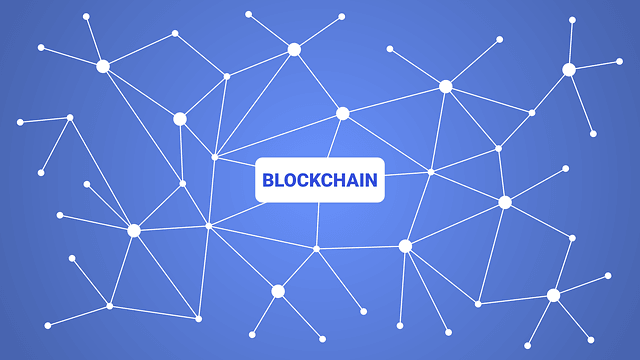 Blockchain technology may be the biggest innovation of cryptocurrencies. Countless companies, service providers and governments are showing great interest in the technology. Projects like the Ethereum Alliance include corporations like Microsoft, JP Morgan, BP, Credit Suisse, Intel, Santander, ING-Diba and Accenture. One of the biggest advantages of Blockchain technology is the ability to securely distribute information. The information is spread across multiple nodes or computers. This is why Blockchain technology is often called Distributed Ledger Technology. The database is not stored and controlled in one place, as in the case of central providers. It is stored by several thousand computers at the same time. If you want to change the database, you would have to change every single copy of the blockchain on every computer. In addition, the Bitcoin network checks the correctness of all data at certain intervals. You can download the complete blockchain and save it on your own computer at any time. Since it is possible to collect the data locally, adjustments could be made and then uploaded back to the blockchain. The blockchain is based on blocks. These blocks carry at least one transaction. A new block can only be added to the network if it has a full network node with mining function. This is the basic prerequisite for new blocks to participate in the blockchain, and thus the Bitcoin network. The records added to a blockchain become “blocks”. It is very difficult to manipulate those records, since the blocks are cryptographically linked together. It would take enormous computing power to manipulate all blocks of the blockchain, a nearly impossible situation. On the Bitcoin Blockchain, a new block is created every 10 minutes and chained to the previous block. The processing of these blocks is called mining. Through this linking of blocks, the Blockchain is created. The Bitcoin Blockchain usually contains transaction data from various transfers, a timestamp, and a hash of the previous block. Proof-of-Work: It is regulated how many blocks can be regenerated in what time period. This prevents uncontrolled growth. The Bitcoin blockchain includes all transactions that have been processed since the creation of the cryptocurrency in 2009. It’s like a transaction manual that everyone can consult publicly. Everyone can check the exact distribution of the assets of the Bitcoin network with all its participants. The history of this virtual cash book is getting bigger and bigger, and the data volume of the blockchain continues to grow. It already covers more than 100GB of completed transactions. What kind of problem can Blockchain technology solve? In the real world, it’s easy to prove whether you own something or not. It gets more difficult with digital goods and services. That’s why you need an accounting system. A ledger that does not require trust, is decentralized, secure and protected against counterfeiting and manipulation. And that’s exactly what the Blockchain is about: a decentralized ledger that records all digital transactions, forgery-proof.